She chose to prove them all wrong ! 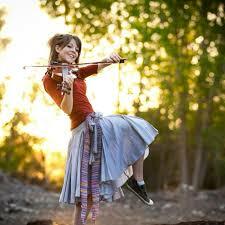 When Lindsey Stirling first appeared on America's Got Talent with her unique style of combining modern dance and violin, she had some initial success in the early rounds. Then the judges decided "she wasn't good enough" and that her music sounded like... "rats being strangled". Instead of giving up, Stirling chose to start making videos of her music and placing them on Youtube. In a short time, she became the #1 most successful artist on Youtube and now travels the world to sold out concerts everywhere. See for yourself what the judges had to say. And watch the results of what happens when you don't allow others define who you are!